Repair or refurbish, what is the best choice for your Flat Roof? Endon Roofing offer services including new roof installations, flat roof refurbishments and flat roof repairs. However, how do you know which is your best option is a roof repair sufficient or should you choose the option of a full flat roof refurbishment? 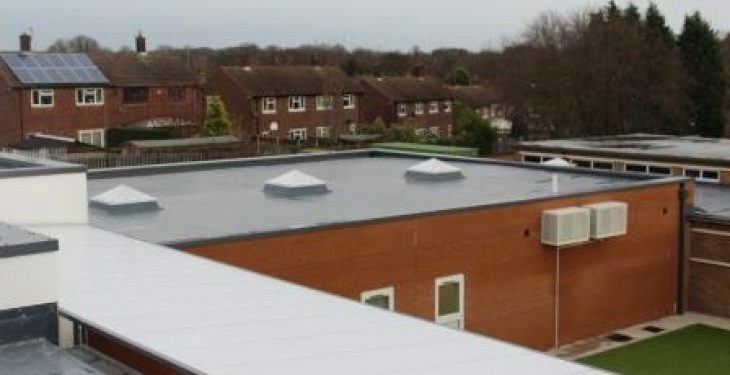 If the roof is out of warranty then patch repair compounds are useful allowing time to contact a flat roof specialist such as ourselves and arrange funding for a roof refurbishment, however, always ensure that the compound is compatible with the membrane. Such repairs are only short term and the majority of roofs will need a roof refurbishment to avoid any further issues with water that has already ingressed into your flat roof system. If it is still covered by a guarantee, contact your roofing contractor or you may invalidate the guarantee. The type of flat roof material covering the roof. The history of the roof, has the current material been repaired on numerous occasions? Would it be beneficial to add an insulation to your extension / dormer flat roof improving the performance of your roof? Existing roof covering split, this is due to age but can also relate to movement in the deck due to condensation or water previously leaking rotting the deck. Endon Roofing install all our flat roofs using a single ply membrane, which provides a lifespan of in excess of 30 years, offering a full flat roof service including stripping of original flat roof covering if required, new OSB3 plywood deck and single ply membrane, with insulation if required. If your flat roof is showing signs of deterioration or you are noticing a leak during heavy downpours, contact Endon Roofing now to arrange a free on site survey, a small leak will inevitable turn into a larger issue if left alone. Call us now on 01924 270822 to arrange a free survey.